Ginza has been associated with wealth ever since a silver coin mint was established here early in the Edo Period (1603-1868). Now known as a high-end shopping district, its affluent image continues to this day. Quite a few old shops, or shinise, got their start here, making Ginza a great center for shinise exploration. Senbei are rice crackers that were introduced into Japan from China around the Asuka Period (592-710). A classic senbei maker, Matsuzaki Senbei was founded in 1804 around present-day Shirokane-Takanwa, and moved to Ginza in 1865. A characteristic of Matsuzaki Senbei is the seasonal and traditional Japanese graphics you'll see imprinted right on each rice cracker—making them a great idea as a gift! If you like eating Japanese buns, you should definitely get to know Ginza Kimuraya. This shinise was started in 1869 under a different name near what's now Shimbashi, then took its present name upon moving to Ginza in 1870. In 1874, Ginza Kimuraya invented anpan, a bun snack filled with red bean paste that's now a standard all over Japan. The original version is referred to as sakadane anpan since it uses alcohol yeast (sakadane) for a unique aroma. 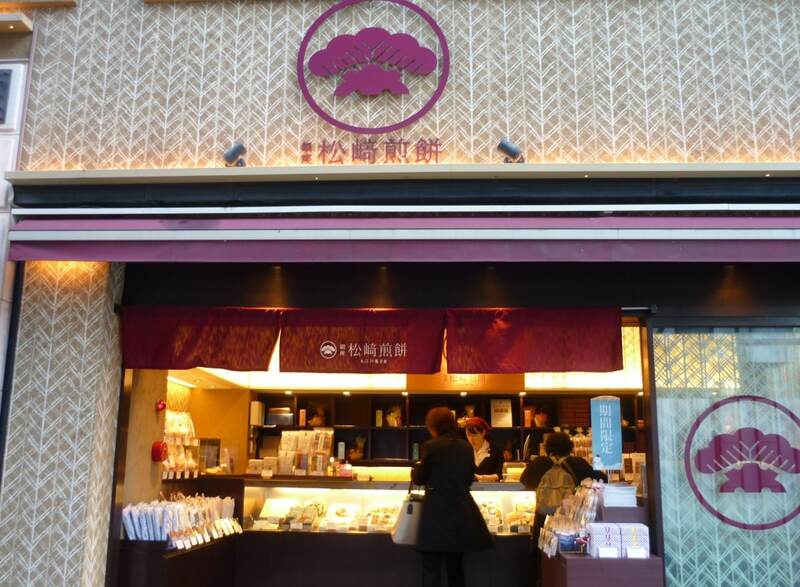 In 1875, the shop presented sakadane sakura—anpan buns accented with a salted cherry blossom in the middle—to Emperor Meiji himself! The shop also invented jam pan (basically anpan with jam), steamed cakes and more! Another Ginza-born shinise is Shiseido, the world-famous brand for cosmetics and body care. In 1872, Arinobu Fukuhara started Shiseido Pharmacy (Shiseido Yakkyoku) in Ginza, the first Western-style pharmacy in Japan. After adding hair tonic and toothpaste to the lineup in the 1880s, in 1897 Shiseido started to tap into cosmetics, offering the softening lotion Eudermine. Its success marked Shiseido's entry into the beauty industry. While the present Tokyo Ginza Shiseido Building was completed in 2001, it stands on the site of the original pharmacy, and is also home to the Shiseido Gallery, reputedly the oldest extant art gallery in Japan (also moved to the present location in 2001). Wako should definitely be the top shinise to be mentioned when we talk about Ginza. Wako was founded in 1881 by Hattori Kintaro under the name Hattori Tokeiten (literally, Hattori Watch Shop), selling imported watches and jewelry. The current Neo-Renaissance Wako building was constructed in 1932, and was one of the few buildings in the area to survive World War II. 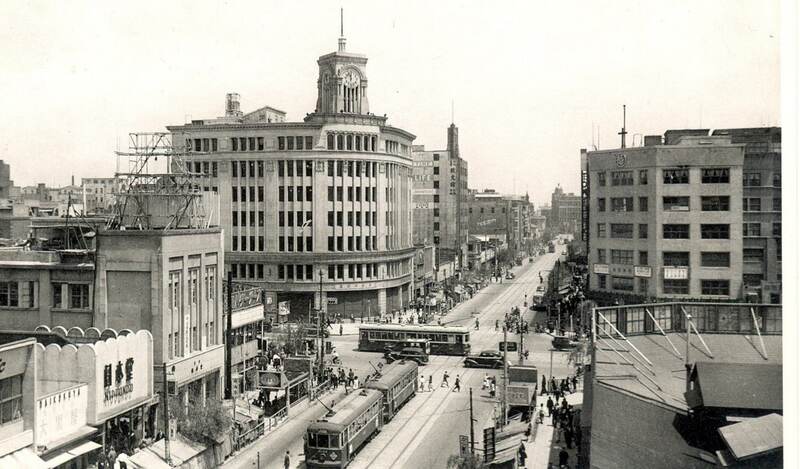 Its clock tower now stands as an iconic symbol of Ginza, appearing regularly in posters and postcards. While Hattori Tokeiten went on to become the massive Seiko Holdings Corporation, Wako Co., Ltd. was spun off as a separate retail store in 1947, and is now a department store selling high-end clothing and bags as well as watches and jewelry. Perk up your ears every hour and you'll hear the clock play the iconic Westminster Chimes.